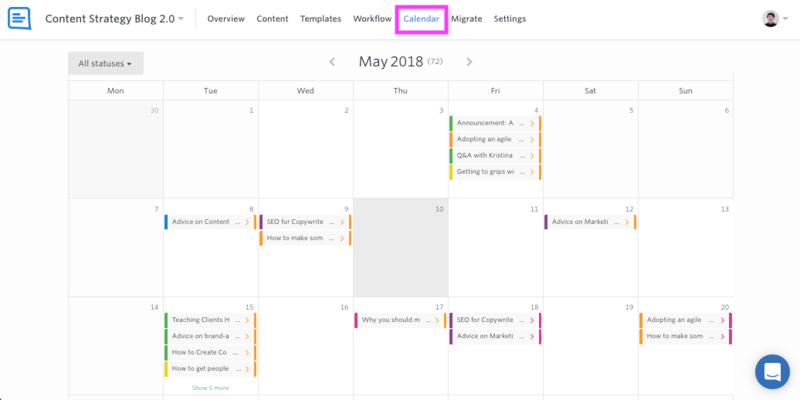 You can easily drag and drop a due date from one day to another in your GatherContent calendar and from the Content tab. The calendar is a good place to quickly rearrange your project’s due dates. You can easily drag and drop a due date from one day to another to update when it is set to be completed. Tip: You can also update the due date of an item by following the same instructions as when you set a due date for an item. 1. Go to the project’s calendar. You will see any due dates that have been set for items in your account. 2. Drag the due date onto a different day to update it. Do this by clicking on it and holding down your mouse. Your due date will be updated immediately and will be visible on the page. In order to update the specific time of day that an item is due, you will have to go into the item and set the time. 1. Go to the Content tab and select the items you want to update the due date for. You can select all items by clicking the top checkbox in the header row of the table. 2. 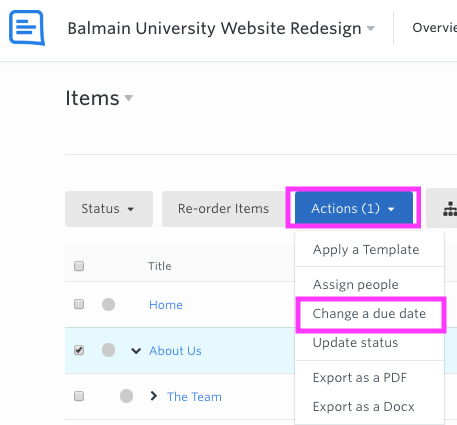 From the Actions button dropdown, select 'Change a due date'. 3. 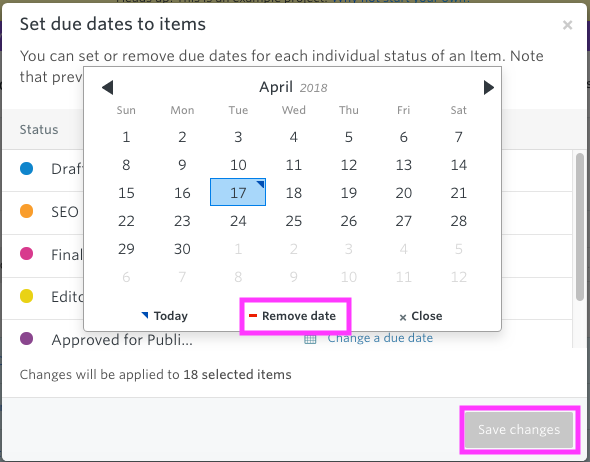 Click 'Change a due date' for the status you want to update the date for. You can then remove the current due date, re-set it and then save your changes.